What is Christ's calling to you? You may be seeking an answer, you may be avoiding the question—but when the Lord calls, he will be answered. God's call came suddenly to Elisha, who was plowing a field when Elijah cast the prophet's mantle on him, and to Peter, who was holding a fishing net when Jesus called him. What does the Bible say about Christ's calling today? We are told that the Lord calls us by name, and every Christian has his or her own calling—a calling as a child of God and a servant of God. 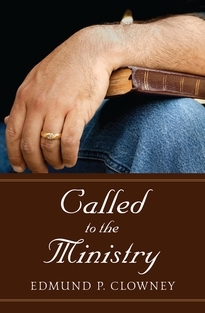 In this timeless book Clowney address the question of how the Lord calls us today. Christ's spoken word no longer sounds by the lake of Galilee, but he has not left his disciples without direction.